The Geo Trade Blog: Space exploration in the 21st century – who will go forth? Space exploration in the 21st century – who will go forth? ﻿﻿﻿﻿In April 2011, it is 50 years since a Russian cosmonaut, Yuri Gagarin became the first man in space. Since then progress was rapid, in full Cold-War fervour, only 8 years separated Neil Armstrong and Buzz Aldrin landing on the surface of the moon. Although the moon landings handed a temporary victory to the US, the Soviet Union dominated spaceflight for the next decade (the seventies) with pioneering missions to the first space stations Salyut and Mir to experiment on the effects of long periods in space. Gagarin's solo mission signaled an early milestone in a Cold War space race between the former Soviet Union and the US. Eventually, NASA caught up and raced ahead, landing a dozen men on the moon as part of the Apollo program between 1969 and 1972. The US really began to lead the space race with the launch of its Space Shuttle Programme in 1981. The US was the Space Leader by the early 1990s. But the risk and cost were so great, the US retreated. The Cold War ended, and the Soviet Union dissolved into member states. 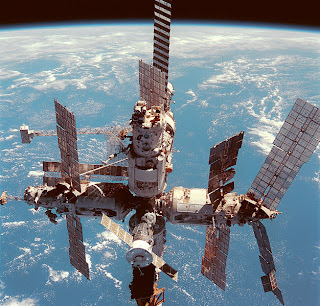 As one of the surviving states, Russia inherited the Soviet strides in space and joined with the US, Europe, Japan and Canada to forge the 15-nation space station. NASA's decision to retire the 30-year old shuttle fleet without a replacement in sight to continue the human push beyond Low-Earth-Orbit to explore the Solar System has not been popular - the last shuttle mission is due to launch in July 2011. Many working within the US Space Industry disagree with the US decision to cancel the Constellation Program that set out to do just that, and many are not happy that US astronauts will have to rely on the Russian Soyuz capsules to reach the International Space Station for the foreseeable future. The video below shows a new initiative called Why Space Matters recently launched to communicate the wider benefits of space exploration to the US public. In the 21st century, Russian President, Medvedev, stated that the country's space programme will remain a key government priority, but sceptics say the nation has done virtually nothing to develop a successor to the 43-year-old Soyuz spaceship. Russia has used the Soyuz and Progress spacecraft, whose designs date back to the 1960s, to send an increasing number of crew and cargo to their Space Stations and now to the International Space Station. Russia announced recently three objectives for its space programme: it would test a next-generation spacecraft, build a new cosmodrome and consider a manned mission to Mars after 2035 and after new nuclear engines are developed. Russian officials have set the tentative launch of a new spacecraft to replace Soyuz for 2015, but cosmonauts and industry watchers have said its development has barely begun. Russia will need to make at least 15 successful unmanned launches of the new craft, named Rus, before it can carry crew into orbit. Russia is also due to start building a new launch pad in Russia's Far East in 2011, called Vostochny. Officials have said the first launches from Vostochny are expected in 2015. Russia still uses the Soviet-built Baikonur Cosmodrome in Kazakhstan for all its manned space flights and a large share of its satellite launches. Baikonur is where the history of space exploration began. The first space satellite, "Sputnik," was launched from there in 1957, as was the first manned space flight with Yuri Gagarin in 1961. Since then, over 1,200 spacecraft have been launched from the Baikonur Cosmodrome. However despite the positive political announcements, the Chief of the Russian Space Agency said on the anniversary of Yuri Gangarin's first space flight that the Russian Space Agency's current budget was not enough to finance breakthrough projects and that China might soon overtake Russian space technology. General Xu Qiliang, the Commander of the People’s Liberation Army Air Force believes space exploration is critical to China’s national security interests. His views reflect the Chinese government’s growing interest in space exploration and the development of space technology. China’s space program has made significant progress over the past decade. 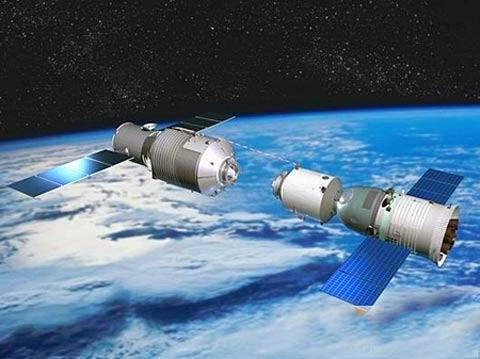 China is scheduled to start building its own space station in 2011 with the launch of an unmanned module named Tiangong-1(天宫一号). China has collaborated mostly with other emerging economies on its space technology, especially Russia and Brazil. Russia is working with China to help the Chinese refine their Shenzhou manned vehicles (based on the Russian Soyuz design). China has also purchased spacesuit designs from Russia. Tiangong -1 (天宫一号) is the first module of an unmanned space station that is expected to launch in the second half of 2011. The Tiangong -1 space module is expected to carry out China's first space docking with the Shenzhou-8 spacecraft, allowing for the building of the Space Station. China now has the technology to be able to reach into outer space with its unmanned spacecraft and since 2003, for humans to enter space too. By operating at the highest level of space activities China has confirmed its potential place as a new 'Space Power' in the 21st Century. China too will inevitably have to reach a view on the value of its space program compared to its high costs and the potential likelihood of dramatic failure set against Chinese priorities for space exploration. No matter who goes forth to explore the Solar System, humankind's thirst for a greater understanding of 'space' and our solar system means the world will be eagerly watching new space exploration and awaiting the new discoveries to come.